If you need a women-specific hybrid bike for some leisure riding without breaking the bank, then the Diamondback Clarity series could meet your needs. With Shimano parts and some classy, sensual geometry, a Clarity bike can be a treat to your aesthetics and your riding. For a few hundred dollars at its best price, this bike is a good buy. We enjoyed riding this bike on and off road. A couple of us felt that the handlebars were a little too wide, and we would have preferred more color options, but that was all we could complain about. 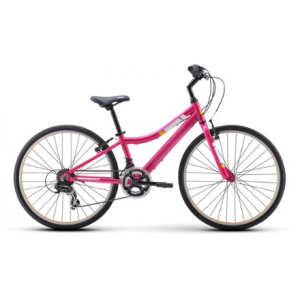 The ride is smooth and easy, with a relatively light weight and easy gear shifting. It’s also surprisingly fast! For the price a few hundred dollars, these bikes offer real value for money.